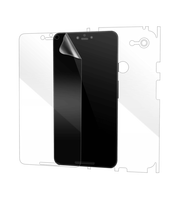 GadgetShieldz® Screen Protectors provide the best protection for your Google Pixel devices. Our Google Pixel full body protector film applies on your screen, back, sides, top, bottom providing 360-degree scratch protection. It even comes with a camera lens protector which is invaluable for Google Pixel camera lens protection. And these are not your cheap and wussy Google Pixel screen protectors that you get in packs of ten. Our screen protectors for the Google Pixel phones comes with proprietary self-healing technology that self-repairs itself from minor scratches. 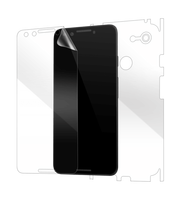 The body protectors are infused with a tactile coating providing the much needed extra grip and extra resistance to fingerprints when compared to normal Google Pixel screen and tempered glass protectors. And the list doesn't end there. 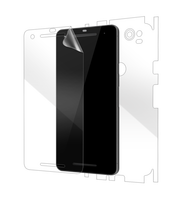 Each Gadgetshieldz® includes precision engineered clear films custom made to fit your Google Pixel phones, keeping all ports and buttons totally accessible. Its unique ultra-flexible properties help it to cover even the most complex curves and contours of your device which normal rigid screen guards and tempered glass screen protectors cannot.